When Disney, one of the largest entertainment brands on the planet, made their $4 billion acquisition of Lucasfilm, the company behind small little film franchises like Star Wars, it was essentially a foregone conclusion that the sci-fi franchise would soon be enjoying a more pronounced presence at The Happiest Place On Earth. As it turns out Star Tours was already a popular attraction, so it was only a matter of time before that concept expanded further. In the summer of last year, Disney announced that a Star Wars-themed Land would be added to both Disneyland and Disney World resorts and the company even debuted a 360-photo of the construction site, giving people a small tease at the future possibilities. Then most recently we learned that the upcoming Star Wars Land would even employ the use of our new medium of VR to enhance many of the location’s attractions. Nokia and Disney are already working on VR projects together, we know that ILMxLAB created the brief Trials on Tatooine experience and are currently working on a more interactive Darth Vader story as well. You can safely add whatever VR implementations exist at Star Wars Land to our list of most highly-anticipated new developments at a theme park in quite some time. 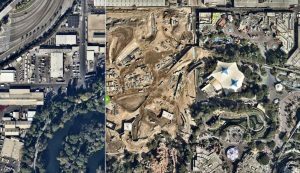 By way of Nearmap, a company that specializes in high-quality aerial photography, we can see what approximately one year of progress looks like when building a new region for an upcoming Disneyland location. In the above embedded image, you can slide from the left to the right to see what the progress has been like. The image on the left is from November 15th, 2015, prior to construction starting, and the image on the right is from September 22nd, 2016, just about two months ago. 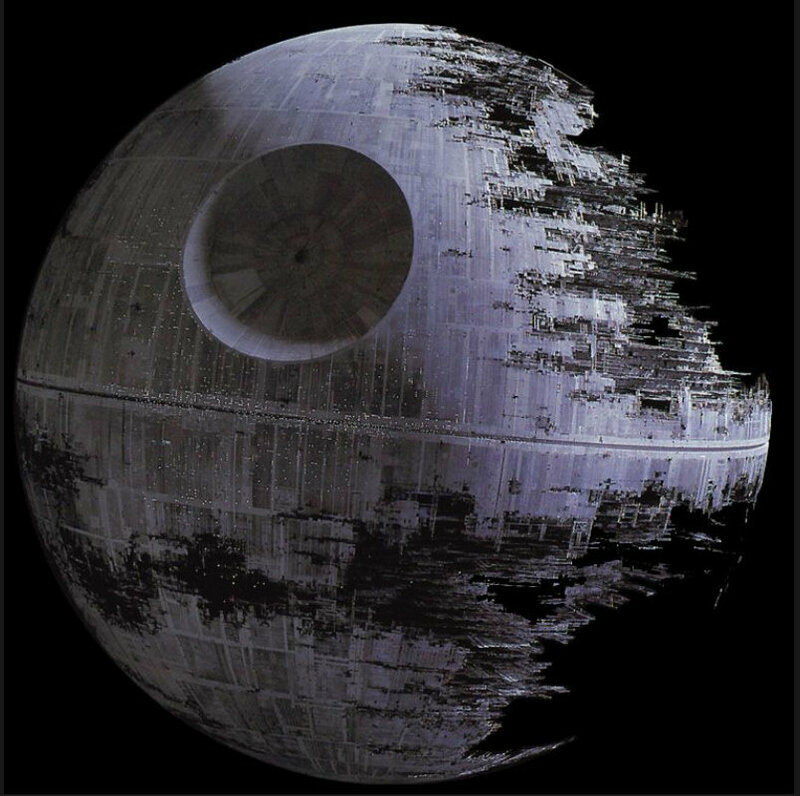 Maybe by this time next year we can start to get a glimpse of a work-in-progress Death Star — hopefully it won’t be mistaken for a moon this time.